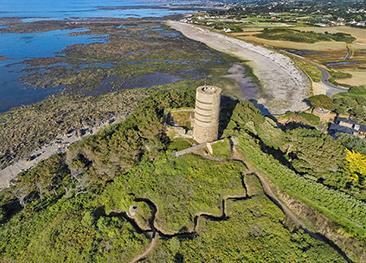 Affectionately nicknamed the “Cup and Saucer”, Fort Grey is a Martello Tower located at Rocquaine, on Guernsey’s rocky West coast. Affectionately nicknamed the “Cup and Saucer”, Fort Grey is a Martello Tower located at Rocquaine, on Guernsey’s rocky West coast. It was built in 1804 to defend the Island’s coastline, but its location near the infamous Hanois reef mean that it has been witness to many historic shipwrecks over the years. Today, Fort Grey is home to a Shipwreck Museum, telling the stories of many of the vessels that have come to grief on this beautiful but treacherous coast. The museum contains many artefacts salvaged from the wrecks and from their fascinating information panels you will learn the gripping tales surrounding the disasters which date from the HMS Sprightly in 1777 to the Vermontborg in 2003. On Tuesday mornings at 11.15am and Sunday afternoons at 2.15pm Guernsey Museum’s “History in Action Company” enact stories from Guernsey’s past. 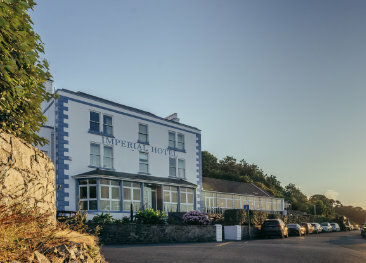 L'Eree Bay Hotel is an ideal hotel for a relaxing Guernsey holiday, close to the island's west coast beaches and a short stroll from the countryside. 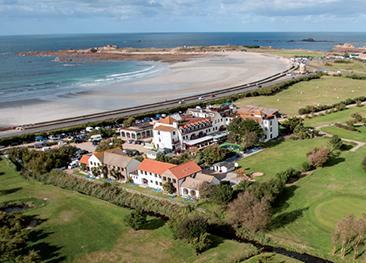 La Grande Mare Hotel, Golf and Country Club is situated on the west coast of Guernsey and sits within 120 acres of private grounds. There is an 18-hole golf course, woodlands and gardens. Les Douvres is a family-friendly hotel that features an outdoor swimming pool and private gardens. 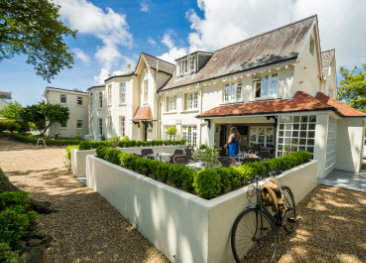 The hotel is located on the site of a former 18th century manor house. 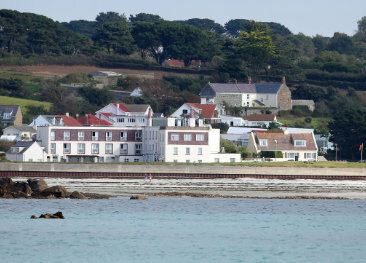 Parking is at Guernsey Pearl, directly opposite the causeway. Fort Grey is not accessible to wheelchairs or push-chairs. People with impaired mobility or vision might find the steps challenging. Can I get the bus? Routes 11, 61, 91 and 111 stop at the end of the causeway. 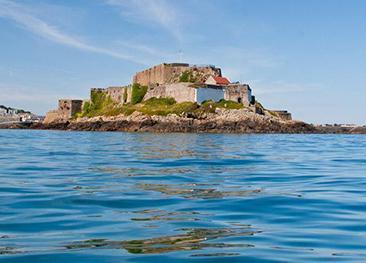 Castle Cornet is Guernsey’s ancient harbour fortress, which was isolated upon a rocky islet until the construction of a breakwater and bridge in the 19th century. 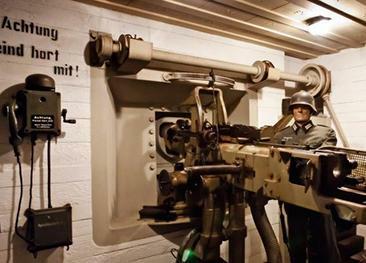 The German Occupation Museum in Guernsey is home to what is undoubtedly the finest collection of Second World War relics in the Channel Islands. This tower, along with other batteries that surrounded the Island were constructed to form part of Hitler's 'Atlantic Wall'.